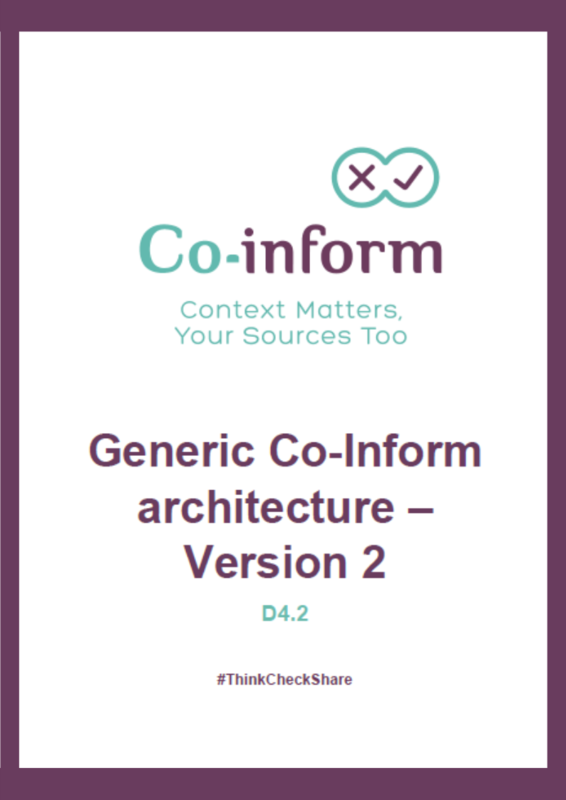 This report provides a second version of the architecture of the Co-Inform platform. It focuses on interoperability at the business and information level, to be developed in an agile manner. The system architecture of the Co-Inform project will be component-based and layered. Robustness, scalability and multi-user access support are important system characteristics. 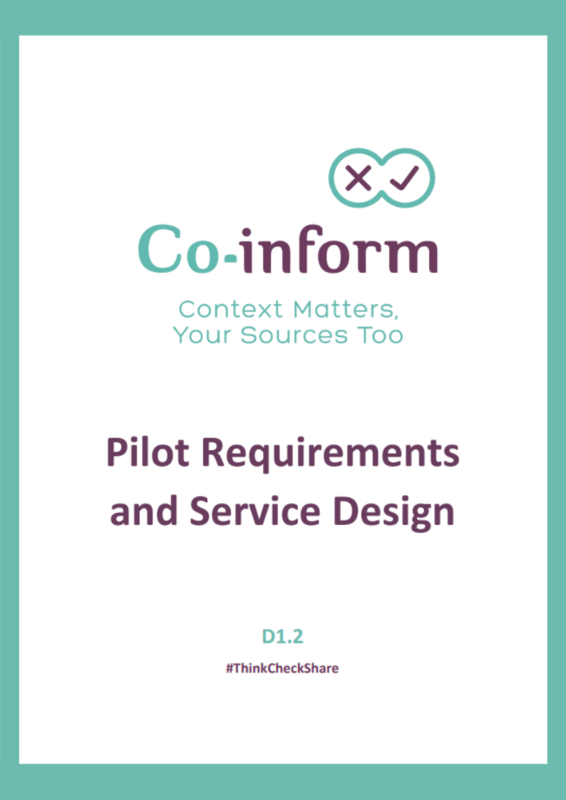 The main objective of this document is to serve as a Pilot Manual and provide guidelines regarding Co-Inform activities, stakeholder requirements, and details on the design and plans of all pilots. Three Pilots (in Austria, Greece, and Sweden) will be launched, that will serve to demonstrate the effectiveness and relevance of the project outcomes, in both the methodological and on the sociotechnical front. The pilots’ aim is to build an environment in all three countries where stakeholders will be enabled to co-create useful tools for combating misinformation. These tools will aim at detecting, tracking, and predicting patterns of misinformation spreading. The pilots will allow researchers and stakeholders to engage in iterative feedback, validation, and testing process of Co-Inform outputs. This deliverable is a report on the socio-technical requirements for Co-creation. 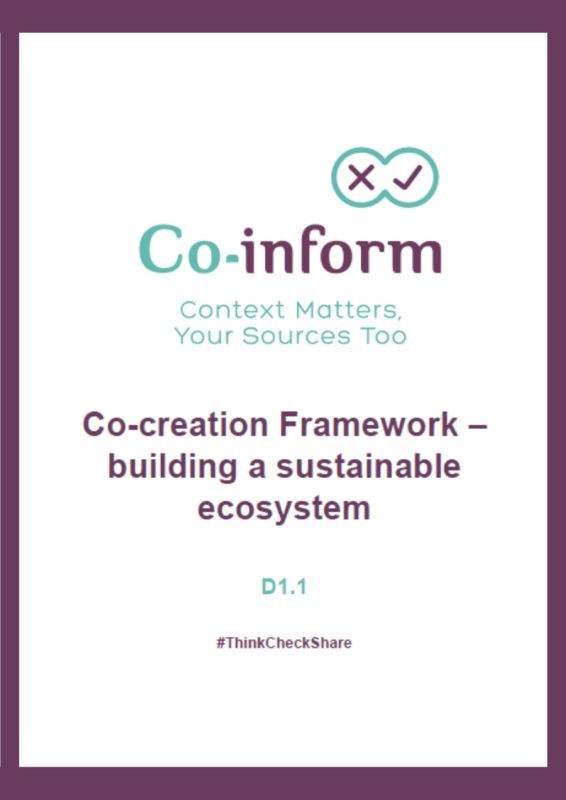 It provides a Methodological Framework for the Co-creation to take place both within the context of the Co-Inform Project and within the engagement and outreach that will take place in the Pilots. Together with its accompanying Appendix the deliverable includes theoretical insights and hands-on practical guidelines on how to design and run co-creation workshops, engage with stakeholders in the various pilots, as well as provide for an ethical and legal framework to guide and govern such interactions. The Appendix will be used as a guide to the consortium and a “living document” constantly evolving as the project goes forward. 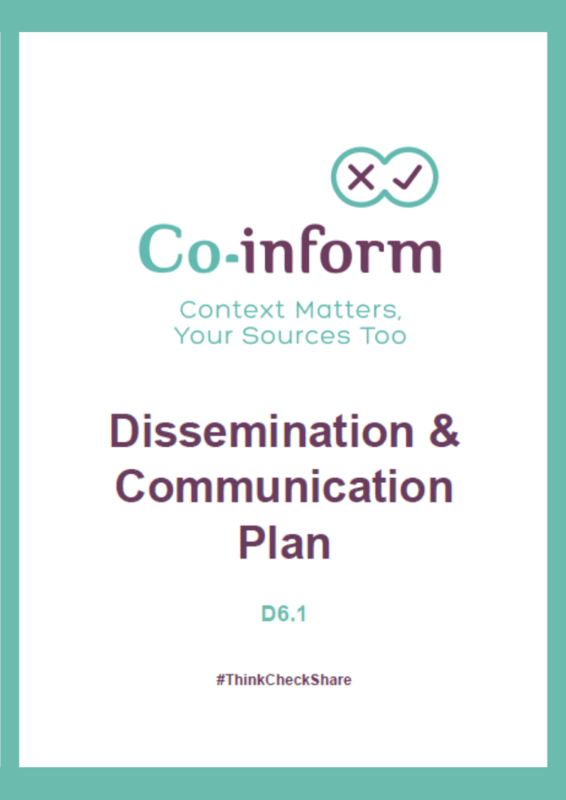 This report presents the dissemination and communication strategy for the Co-Inform project. The aim is to define and produce the resources, planning, and methods that partners should use to collaboratively communicate the project, its outcomes and activities to external stakeholders. The initial plan provides an overview of the communication and standardization strategy, presenting the materials, the channels, and the target groups of the project. This strategy will be updated and adjusted all along the full duration of the project to maximize the project’s impact. This Data Management Plan will describe how the project handles data. Co-Inform intents to comply with the General Data Protection Regulation (GDPR). Therefore, it has set out guidelines for the consortium on how to safely and securely handle sensitive data. 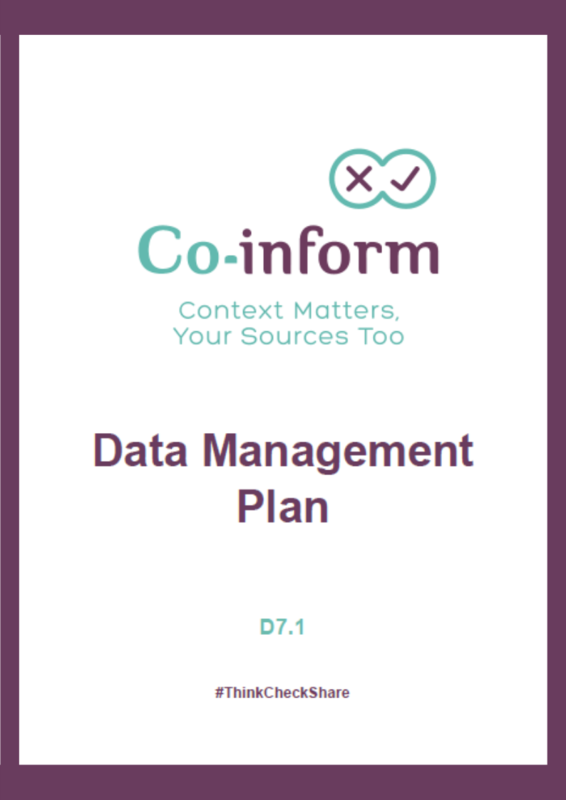 Co-Inform Project Management has developed provisional guidelines on how to implement the FAIR principles to the datasets.